i was scrollin' down to the 954 section when i saw the new streetfighter section, this is awesome. thanks to the mods for puttin' it in! i've got some pics that are a month or so old of my fighter. its been off the road for a week or so now. i'm puttin on some dirty bars, making a new headlight out of an infinity j30 headlight, and a new guage mount. 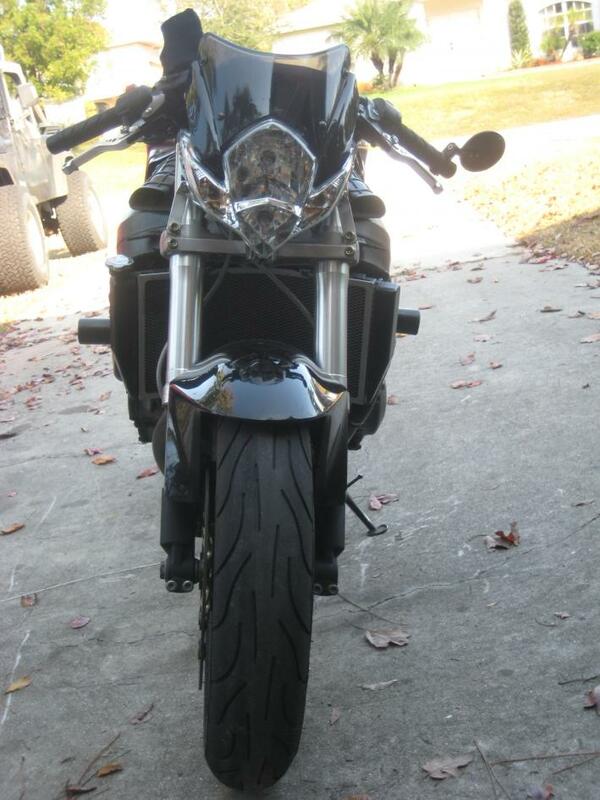 all i'm waiting on now are my brake lines from galfer to get here, and i should be back on the road again. i'm also taking the rear brake resevior and mounting it to the front, and making the rear resevior be a longer piece of clear tubing. 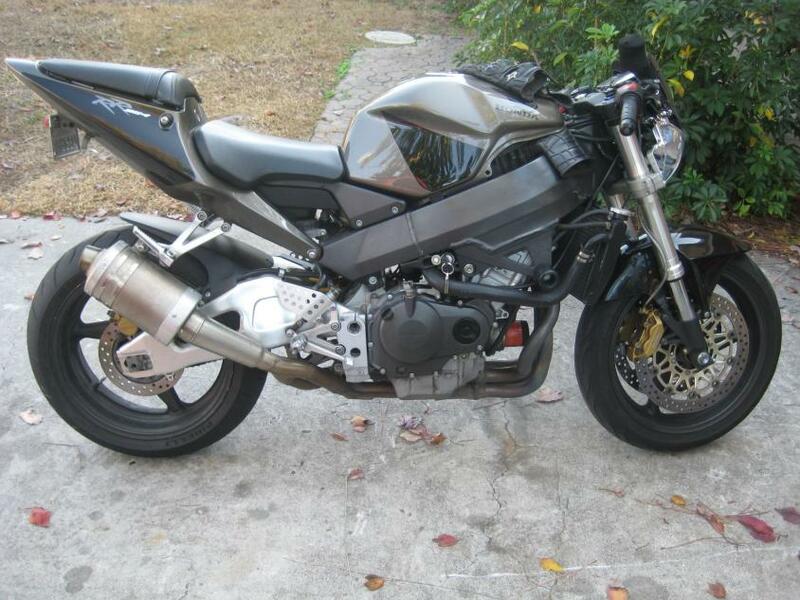 future mods will be : viffer SSSA w/ a car rim (17x7) no rediculously wide tire, 1000rr front end swap, add another radiator fan, eventually (when they become cheaper) a bmw s1000r tail section and custom subframe, stroked motor, stainless steel braided hoses and cables. I've got two of my guage mounts. one is a 45 degree like the one on my bike. the other is a 90 degree which puts the guage face on a plane with the top clamp. If you're interested in either one they cost me $40 to have them made. they mount to the lock set with two 90 mm x 8 mm x 1.25 bolts. conrice im thinking about making my 929 a fighter, did you relocate your key to the side there? is that wat i see in the first pic? was the relocation pretty simple? Conrice I see a gap under your tank. 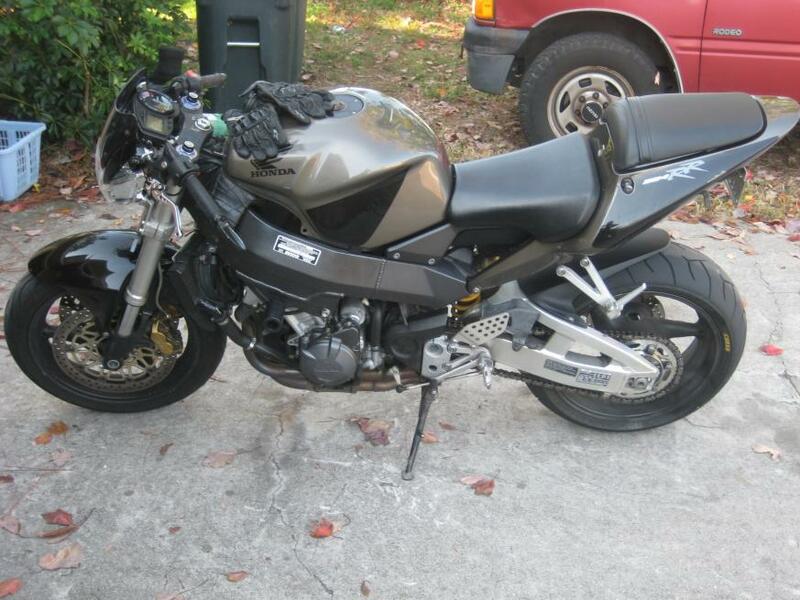 Did your bike have the ram air tubes like an f4i at one point? I don't know how the 954's look under their plastics. Fail. I have an awesome idea for my build but it is based off the F4i ram air tubes, but I can't find any literbike with a similar setup. ya it was pretty simple. solder and heat shrink wrap the connections. i've modded the harness a lot, but its not hard if you have a wiring diagram handy. ya everything is behind the axle including the light now on my bike. and with my new setup, when i'm tucked in - my head is out infront the entire bike - its a badass feeling. Quick Reply: Thank the lord we have a streetfighter section!